With this feature set you can send looks to be applied on the outputs of the camera by using a network connection (LAN or WiFi depending on your setup). Additionally, it’s possible to get frame grabs from the current live image of the camera. This way you can include the graded frame grabs to the Look Reports. Furthermore, you can use the camera’s image source as an image reference in the Image Viewer, allowing the fine tuning of the looks later – even if the camera is not available. 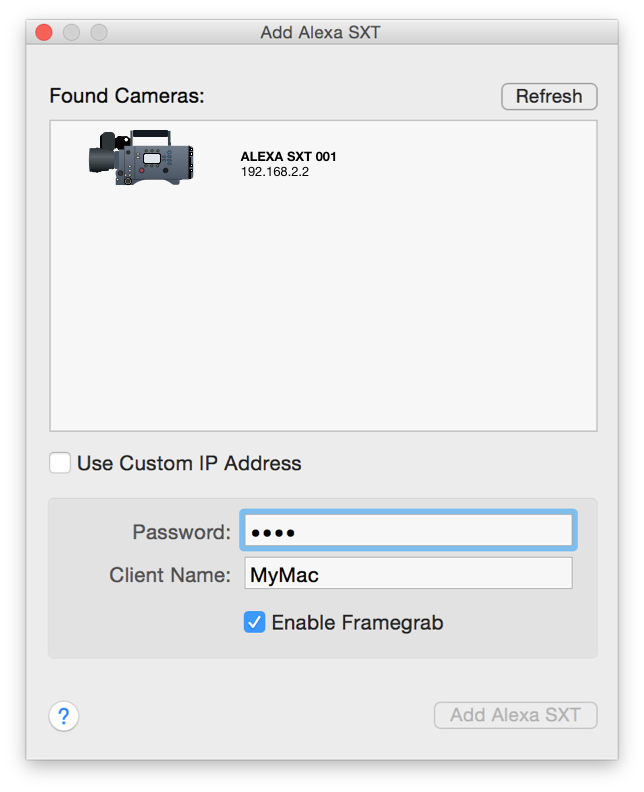 In order to exchange look information with LiveGrade Pro, the camera needs to have a working network connection with the Mac where LiveGrade is running on. In order to connect LiveGrade to the camera you have to enable the “Camera Access Protocol” in the ARRI camera’s network menu at “System -> Network”. You can also set a password there to protect access to the camera. Make sure that you have set the monitor output to “Look File” in the camera’s Color menu, in order to have the look applied to your monitor out. Once a correct connection is established, launch LiveGrade and you can proceed to add the ARRI Camera as a device. In order to do that, you can choose “Slots” in the main menu and then “Add Device”. Alternatively, you can add the device through the Device Manager. Alternatively you can enter the IP address or the camera’s serial number based host name (e.g. serial number: 6712 -> host name: alexa6712.local) manually. To do so click the checkbox “Use Custom IP Address” and fill in the information in the text field that appears. You can enable / disable, if you want to receive frame grabs from this camera by checking the «Enable Framegrab» checkbox. In the main window of LiveGrade Pro, the ARRI camera is now displayed in the corresponding grading slot as a device. On connect, LiveGrade will load the look currently selected in the camera. Furthermore if you change the selected look in the camera, LiveGrade will load the new look automatically. Once you alter the initial look loaded from the camera the Alexa will show a * next to the look name to indicate that it is changed. 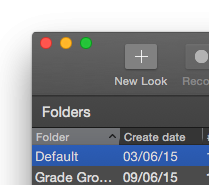 When creating new looks in LiveGrade you can choose if they should be stored to the camera as well. While the current active look settings will be added as metadata to the recorded clips, you have to store the look to the camera in order to change the look name displayed on the camera and written to the metadata. If frame grabs are enabled the camera image will be shown as an image source of the slot. You can open the Image Viewer to display the current image by double clicking on the frame grab thumbnail in the Image Sources section. In case that you want to display an updated live image, you can perform a frame grab in LiveGrade by clicking on the «Refresh Image» button. After that you will have the latest frame of the live image. You can generally check if the ARRI camera is properly connected by going to the Device Manager. A green indicator shows a positive connection status. Please be aware that due to the frame size (especially of the ARRI Alexa 65), taking frame grabs can take longer than maybe expected. Please grant the camera and application some time to process the framegrab. You can take framegrabs from the video signal by clicking on the “New Look” button. 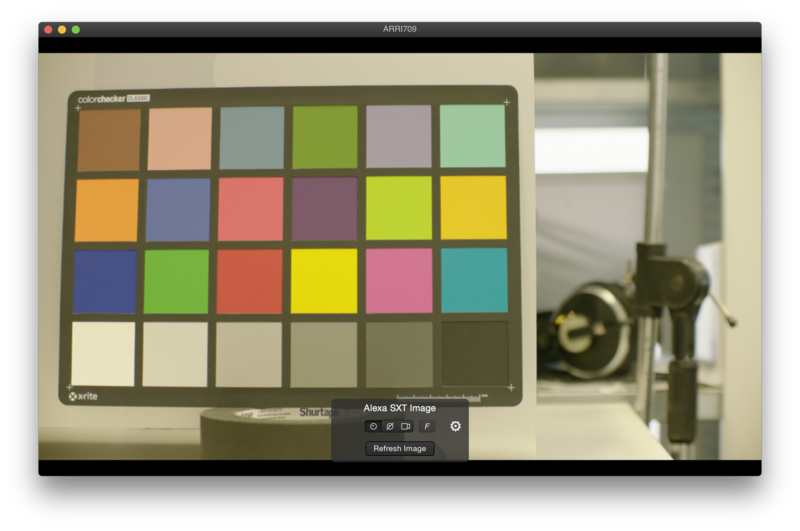 This takes a new frame from the camera and saves it to the Shot Library with the associated grade for further reference.